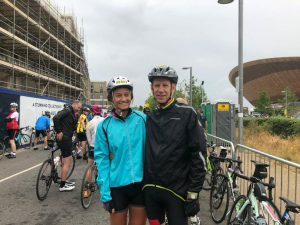 Home » Join us for Ride London 2019! Are you up for a challenge? 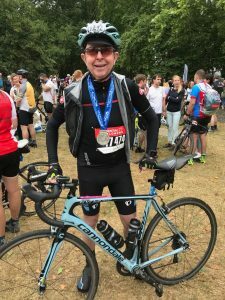 We have a limited number of places for the Prudential Ride London Surrey 100 due to take place on 4th August 2019. Join the ever popular trend for road cycling and enjoy London as never before – traffic free! Push on out for some testing climbs in the Surrey countryside and help raise funds for Act4Africa. 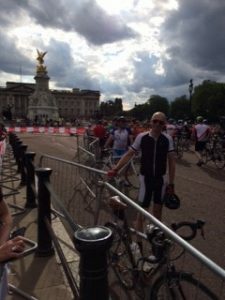 Why choose Ride London Surrey 100? Ride London Surrey 100 follows a route made famous by the world’s best cyclists at the London 2012 Olympics. The 100 mile course starts at the Olympic Park and follows a modified version of the London 2012 Olympic Road Race, out to leafy Surrey, taking in the long climb up Box Hill and back into Central London to a memorable finish line on The Mall. To sign up simply download the Ride London Entry form & Declaration , print it off, fill it out and scan it back to us with your £50 entrance fee. There is a minimum sponsorship commitment of £250, but we’ll support you every step of the way. We’ll provide you with a fundraising pack full of tips and advice to help you reach your sponsorship target. 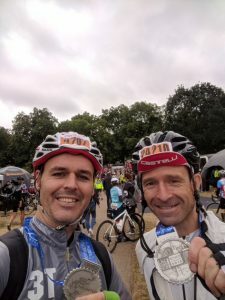 To take part in the Ride London-Surrey 100 you must be capable of finishing the event within 9 hours and able to ride safely within a large group of riders. All cyclists taking part in Ride London must ride a roadworthy and permitted bike. Check out the Ride London 100 Rider Info page for a more detailed explanation of the bikes that are (and are not) permitted in the event. Why should I go 100 miles for Act4Africa? By cycling for Act4Africa you can help us to give young women and girls in Africa the future that they deserve. £25 will support one young woman’s membership of a local enterprise group for a year. Set up as part of Act4Africa’s HEAL initiative (Health, Empowerment and Livelihoods), group membership provides improved life-chances and livelihoods for out-of-school adolescent girls and young women. £180 will keep a teenage girl in school for a year. Where we operate, 60% of girls never attend school. They are susceptible to early pregnancy, ill health and poverty. £180 will pay for her school fees, uniform and shoes, a back pack and educational supplies, and provide her with sanitary protection to allow her to attend school regularly. £200 will train and fund an early years teacher for Kathy’s Kindergarten. Up to 80 children aged 3-6 have access to a first class education at Kathy’s Centre. Many of them are AIDS orphans or children of adolescent mothers, who otherwise would not have this opportunity to access the best possible start in life. These are just a few of the women and girls you will could help by going the 100 miles for us. In 2017 we opened our first community health and education centre in Uganda. 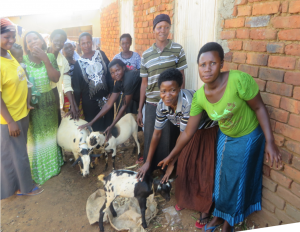 Kathy’s Centre helps vulnerable women and children other members of the Mayuge community by providing a pre-school, youth club, community education programme and HIV testing and counselling facilities. We still have some way to go to reach our fundraising target to fully achieve our plans for Kathy’s Centre. 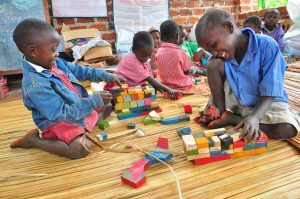 We currently have 25 children in our Kathy’s Kindergarten service and with your generous support and donations we can achieve our goal to give hope and early years education to even more vulnerable and disadvantaged children in rural Uganda. Taking part in RIDE London offers the opportunity for you to help support Act4Africa in all that they do, and we guarantee that 92p in every £1 you raise goes directly to our projects in Africa. Congratulations to all our 2018 riders (including our chief executive, Martin Smedley) on your 100 mile achievement and thank you to your supporters for raising just under £5000 for Act4Africa.